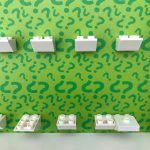 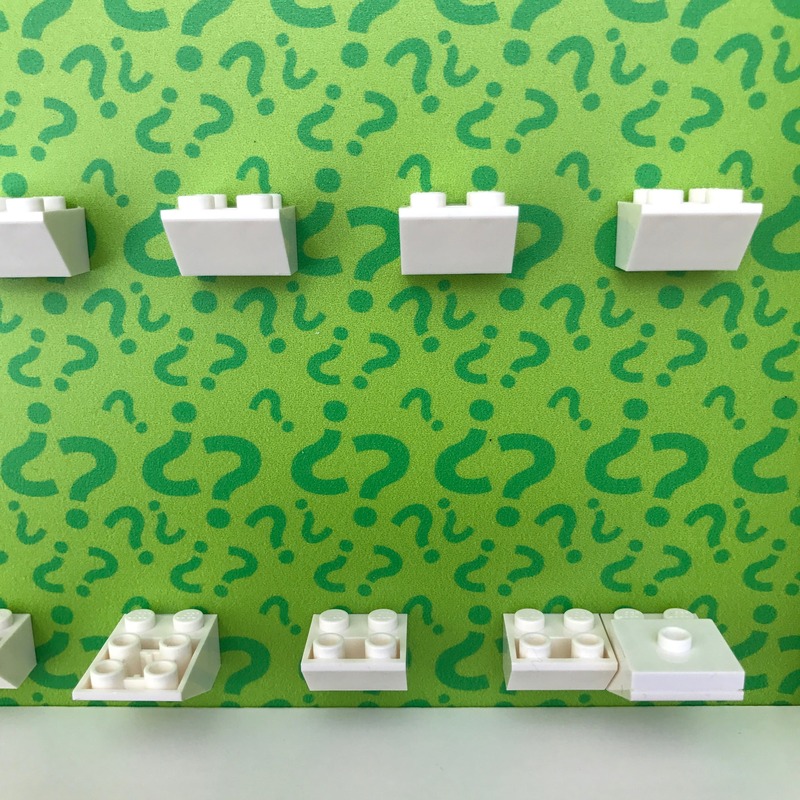 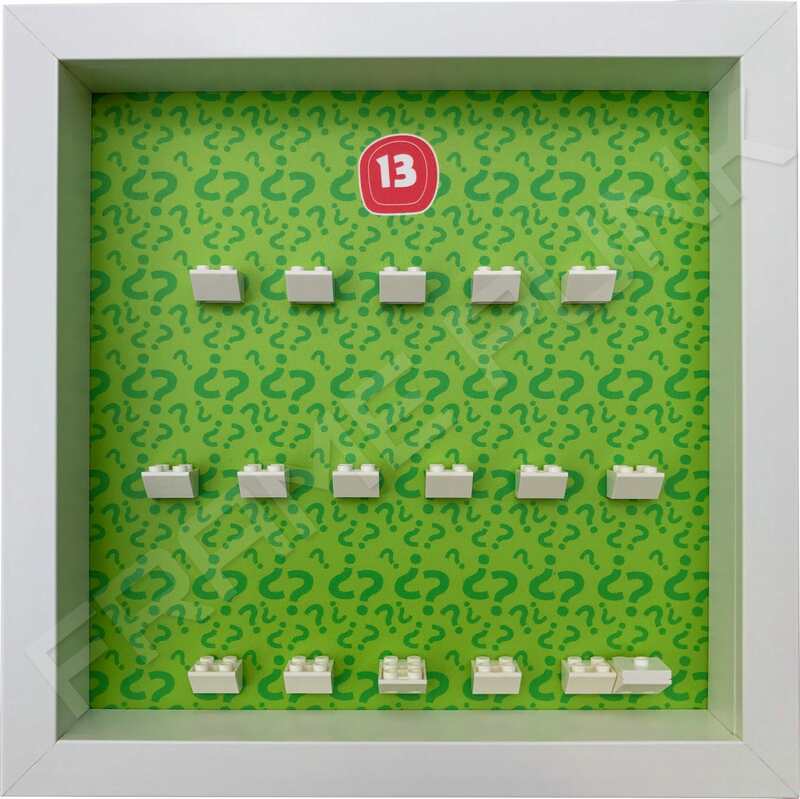 2 extended official White LEGO mounting bricks, one of which also has a Lego plate for the Snake Charmer’s snake (Sits alongside the Charmer’s brick). 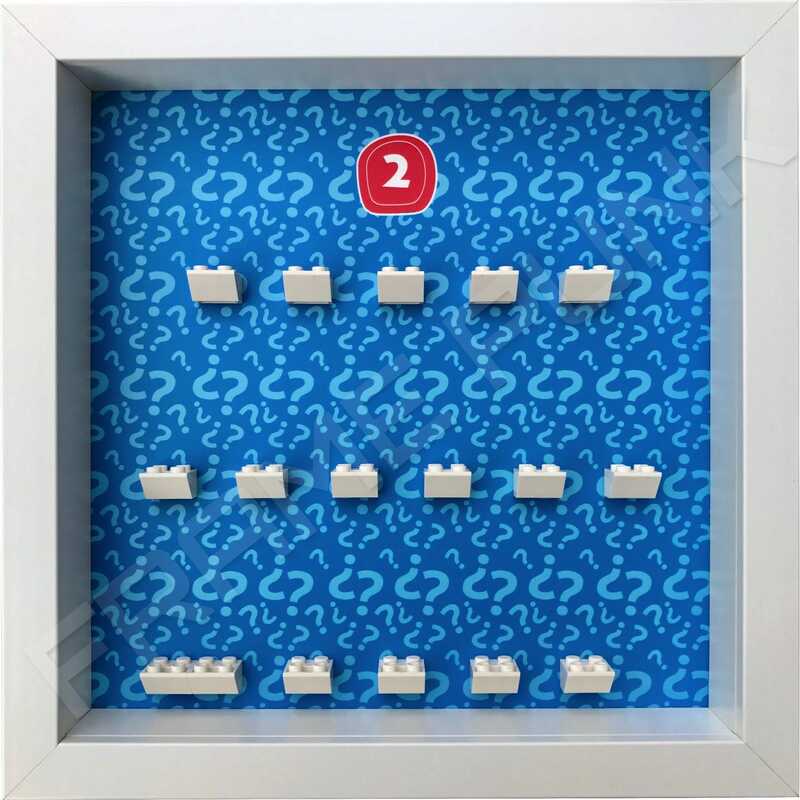 The other is for Unicorn Girl. 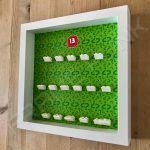 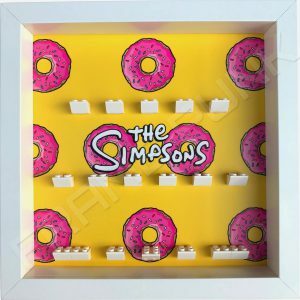 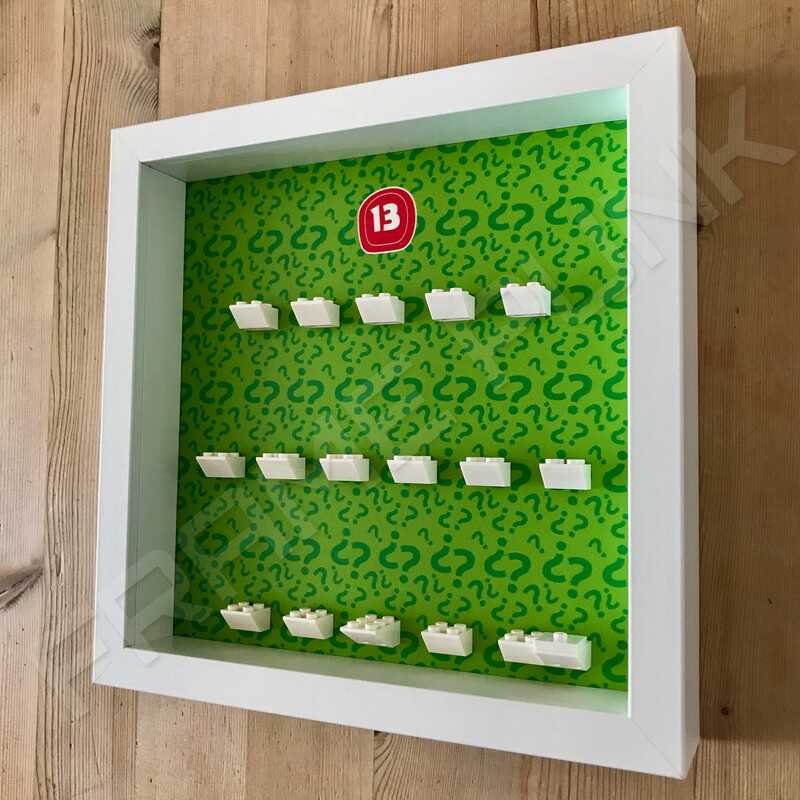 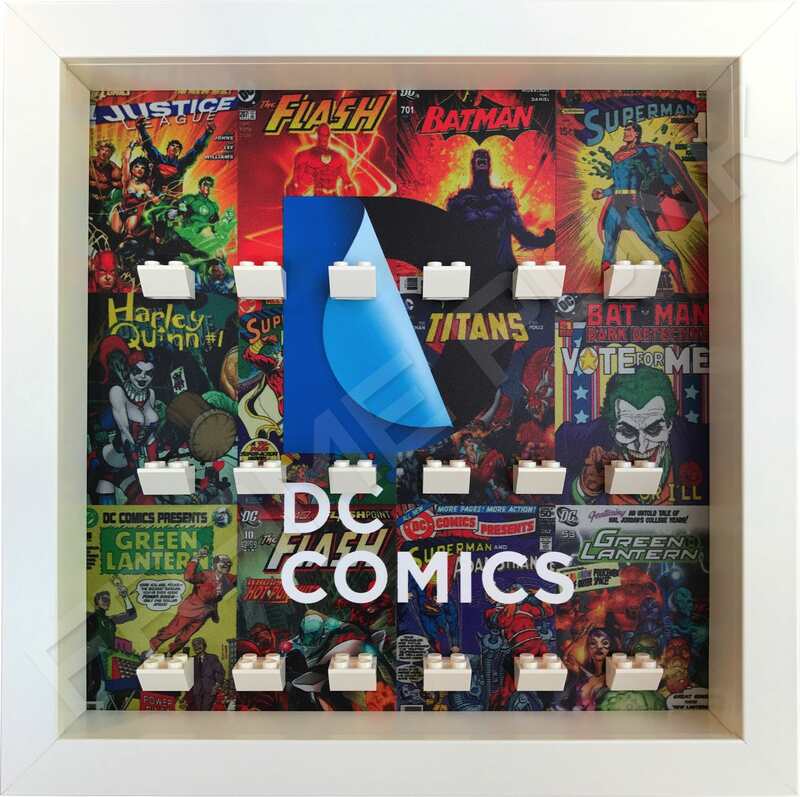 This Frame Punk LEGO Series 13 minifigures display frame is designed to hold the complete set and identify with the colour scheme of the blind bags that the minifigures come in.